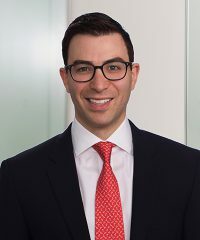 Daniel N. Bernstein, Vice President, joined Falcon in June 2018. He was previously an Associate Director at Hancock Capital Management in their mezzanine debt and private equity group. Prior to this, Mr. Bernstein was a Senior Associate at Balance Point Capital Partners, a lower middle market junior capital fund. Mr. Bernstein began his career at T.D. Bank, N.A. as a senior analyst in their Corporate Banking Group. Mr. Bernstein received a B.A and an M.B.A from The George Washington University. Prior work affiliations – Balance Point Capital Partners, Hancock Capital Management, TD Bank, N.A.